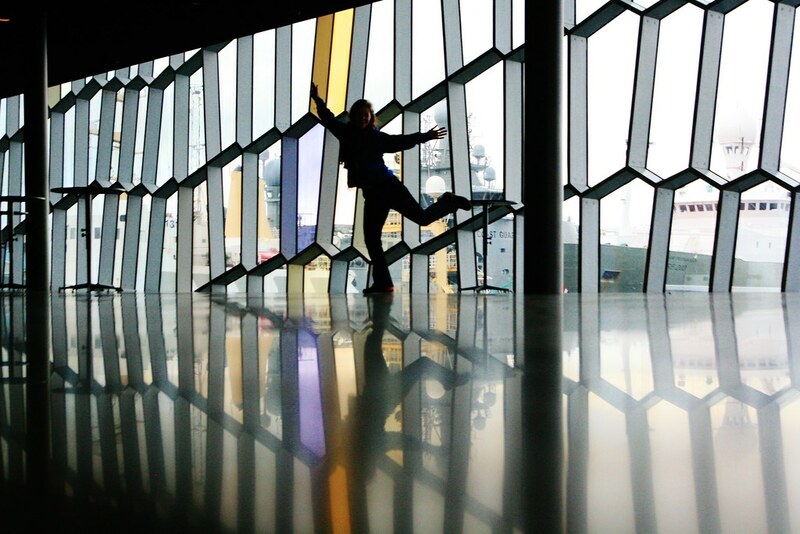 On our Girlguiding County trip to Iceland at Easter, we spent a wonderful day exploring the capital city of Reykjavik (you can read about our adventures here). There was a lot to see and by the end of the day we were happy but a little bit tired! 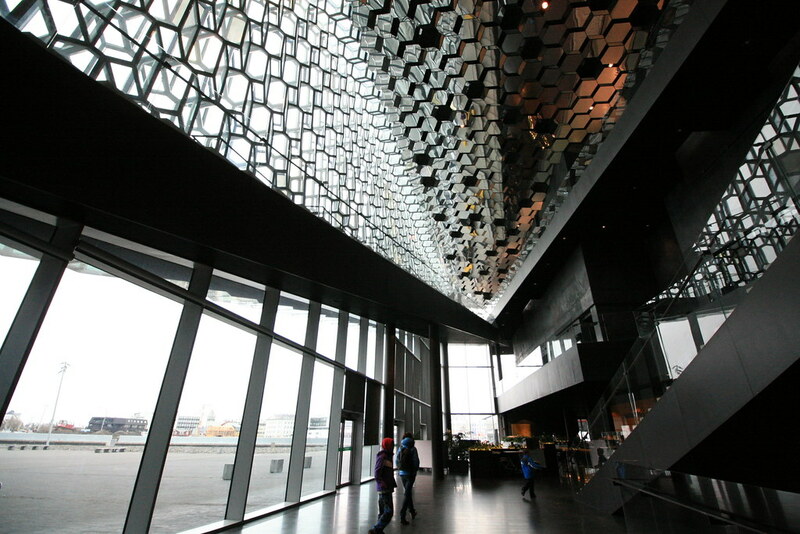 But there was still about 20 more minutes before we had to get on the bus, so we took the advice of our tour Guide and headed to Harpa, a lovely concert hall by the harbour. It was a magnificent building and once inside I released the girls and gave them ten minutes to explore before they met me back at the entrance. As they all high-tailed it to the gift shop, my camera and I went to see what we could find. 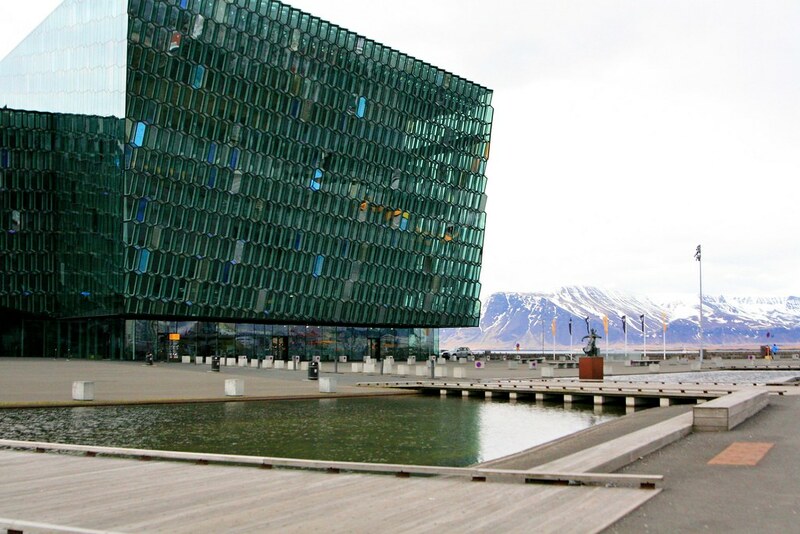 The architect was influenced by the dazzling dance and play of the Aurora Borealis, and the glass which dresses the building gives off tantalising hints of green, blue and turquoise. 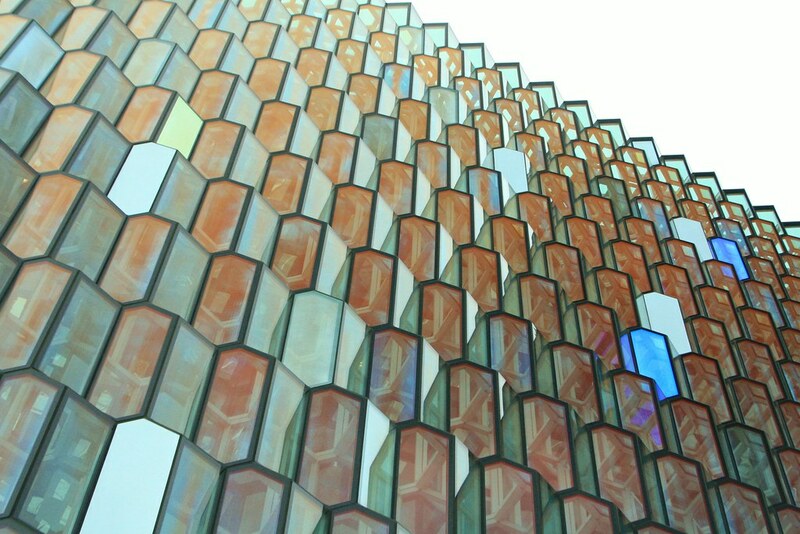 Sadly we weren't able to see Harpa at night but apparently it just lights up at night, sending light reflecting and refracting in a shower of twinkles that mimic the Northern Lights which mat drift overhead. What a lovely reason to head back to Reykjavik. I love this building. 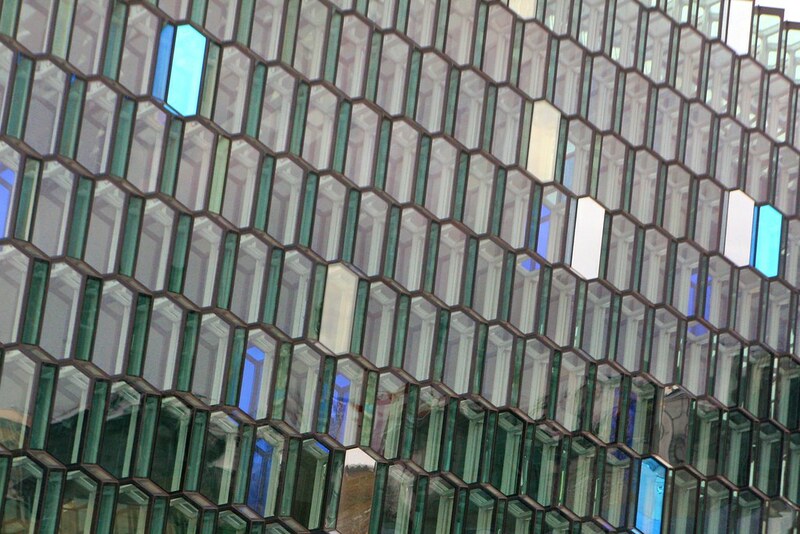 It's probably my favourite in Reykjavik. I'm so jealous of all your travels.